The DJ Training School runs the leading training programme in Ireland to cater exclusively for night-club and party jocks in Ireland. We are continuously updating our training programmes in line with technological advances and student needs. We offer weekend DJ training courses and have developed a method of hands-on teaching which we believe brings out the very best in our students’ abilities. Our courses are delivered by a team of experienced professionals, all of whom are acknowledged experts in the DJ business. Our policy is to keep class sizes small where every student gets individual attention and to train students in professional surroundings using state-of-the-art facilities. Our DJ Training courses are run in association with Star DJs. Star DJs is a national company that provides entertainment solutions through professional DJ talent and entertainers nationwide for a range of services including Weddings, Corporate Events, Product Promotions, Children’s Parties, Retail Events, Bars, Clubs and Private Parties. The DJ School DJ Training course equips students with the skills needed for DJing with vinyl, CDs and laptop systems. We not only cover the technical aspects of DJing, but also how to read the audience and become a master of the crowd. We also give valuable insight into getting club gigs after the courses. 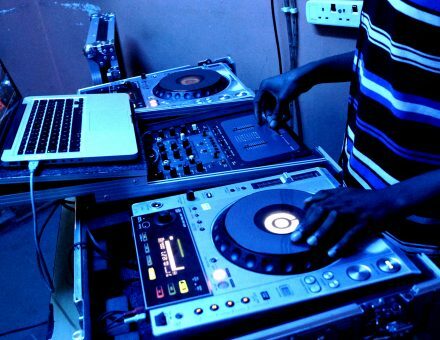 Our DJ Courses are held in Dublin city centre and we provide all equipment needed. No experience is necessary and we welcome all students of all ages. Our courses teach how to be a DJ in a hands on environment.